Space Florida and the Florida Venture Forum, Florida’s largest statewide support organization for investors and entrepreneurs, are pleased to announce the 2019 Florida Early Stage Capital Conference on May 9-10 at the Omni Orlando Resort at Championsgate. Exploration Park, Miami and Tampa, Fla. (March 19, 2019) – Space Florida and the Florida VentureForum, Florida’s largest statewide support organization for investors and entrepreneurs, are pleased toannounce the 2019 Florida Early Stage Capital Conference on May 9-10 at the Omni Orlando Resort at Championsgate. The Florida Venture Forum is looking for companies in the following industries to present at the event: Information Technology; Health Technologies (Including Medical Research & Innovations); ISS and Human Life Sciences; Artificial Intelligence; Knowledge-Based Services & New Products; Satellite Systems; Communications and Science Payloads; Ground and Operations Support Systems; Agriculture; Climate/Environmental Monitoring; Civil Protection; Cyber Security; Adventure Tourism; Clean/Alternative Energy Applications; Aircraft and Spacecraft Design; Parts and Assembly; Engineering Design and Construction; Structural Materials and Electronic Assembly; Data Analytics; Innovations In Planetary Sustainability Towards The Development Of Nutritious Food; Clean Water and Energy; Robotics – Parts; Design and Assembly; Unmanned Aerial Vehicles; Surveillance; 3D Printing and Innovations; Radiation Protection; Space Transportation and Advanced Aerospace Platforms; Reconnaissance; and Missile Development. In addition to the opportunity to present before an audience of active equity investors, eligible presenting companies will be considered for the Accelerating Innovation (AI) Award offered by Space Florida, a cash prize totaling $100,000. The AI Award offers cash prizes to Early Stage companies of $50,000 for the Grand Prize winner and $25,000 for First Runner Up. Start-Up Companies are eligible to win $15,000 or $10,000, respectively. This event is an opportunity to broaden the spectrum of early stage, Florida-based aerospace and aviation companies and entrepreneurs, (as well as non–Florida entities with commitments to relocate or establish a presence in Florida), while engaging the industry with the Florida Venture Forum investment community, including private equity, venture capital and angel investors. Through the end of March, save $100 on registration through the Florida Venture Forum’s MarchMadness discounted pre-registration rate. Prices go up April 1. Sponsorship opportunities are also available. To learn more, visit www.flventure.org. 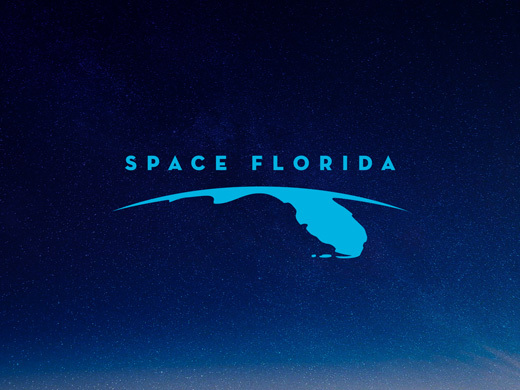 About Space Florida: Space Florida was created to strengthen Florida’s position as the global leader in aerospace research, investment, exploration and commerce. As Florida’s aerospace and spaceportdevelopment authority, we are committed to attracting and expanding the next generation of space industry businesses. With its highly trained workforce, proven infrastructure and unparalleled record of achievement, Florida is the ideal location for aerospace businesses to thrive – and Space Florida is the perfect partner to help them succeed. www.spaceflorida.gov. About The Florida Venture Forum: The Florida Venture Forum is Florida’s largest statewide supportorganization for investors and entrepreneurs, helping emerging Florida companies connect with sources of capital from across the country. The organization provides programs statewide throughout the year in addition to hosting the Florida Venture Capital Conference, the Statewide Collegiate Business Plan Competition and the Early Stage Capital Conference. www.flventure.org.